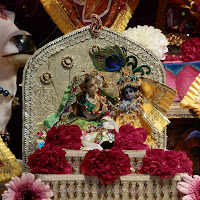 The End of Kartik ~ The Toronto Hare Krishna Temple! Yesterday concluded the month of Kartik, an auspicious month that is celebrated as a month to progress further in our spirituality. The month was dotted with various activities to help everyone take a closer look at their spiritual growth through morning Srimad Bhagavatam classes, Nectar of Devotion book club, themed Sunday Feasts and much more! With all of this excitement, we wanted to ask you, our readers, for any of your experiences or realizations this past month. We would love to hear how this month has progressed for you!